Throne: Kingdom at War is a true MMORTS title for serious players who are looking for a deep and competitive strategy experience. As a Lord, you will construct buildings, train armies and wage war on neighboring Towns. To stay one step ahead of your enemies, conduct Studies and upgrade your Hero’s Skills. These will give you considerable bonuses that will help you to quickly develop your Town’s economy, and your army will become a nightmare for those who dare to confront you! But even the bravest Lord cannot rise to power entirely on their own. In the world of Throne: Kingdom at War, the timely help of your allies is truly priceless. Join an Order to exchange resources and reinforcements with your fellow members and fight together for power over the Kingdom. 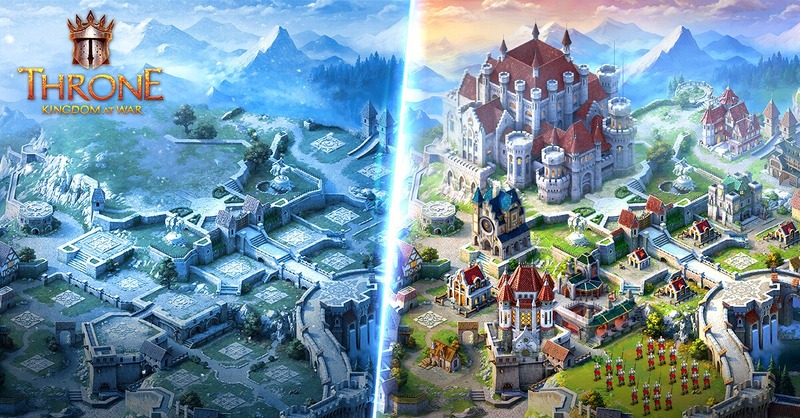 Who knows, perhaps your Order will take the Eternal Stronghold, a unique location on the Kingdom map that promises the owner unimaginable wealth and the vaunted title of King! “Throne: Kingdom at War is an online real-time strategy game where you’ll discover all your talents as a warrior and diplomat on your way to power and glory. Cold steel might be enough to win a few battles against some Lords, but you will often come up against battle-hardened and skilled rulers with whom it’s more profitable to make temporary peace. “Strategy is required on and off the battlefield. You’ll have plenty of opportunities to use sharp wits over sharp blades! Keep that in mind, as diplomacy, trade or allies may get you out of trouble. 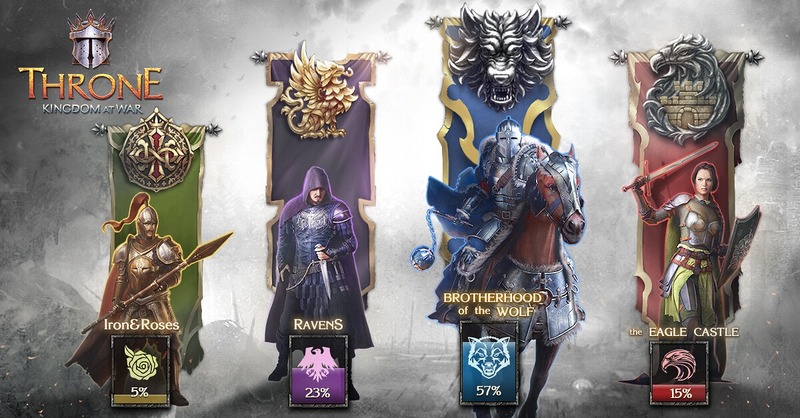 Multiplayer is a significant part of the Throne: Kingdom at War universe. By playing in alliance with other Lords, you can showcase your best qualities. Join an Order, contribute to its development and help your fellows, and soon your accomplishments will be noticed and appreciated! One day you may become the Master of the strongest and most glorious Order in the whole Kingdom! The members of an Order have many advantages over Lords who play on their own. If you get in trouble, your allies will help you: well-timed reinforcements and resources received from your allies will help you to overcome any obstacles. Only united Lords will be able to attack and defend the Eternal Stronghold, which symbolizes the might and power of the Order that holds it in Throne: Kingdom at War! Now that you are familiar with the basics of ruling, you are ready to become a true Lord. Battles for the fate of the Kingdom await you – play Throne: Kingdom at War RIGHT NOW!